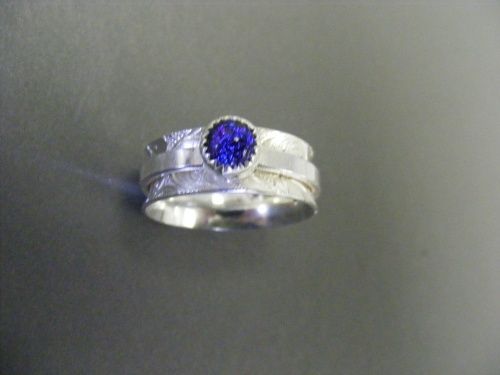 This newest of the sterling silver rings I just made. So sparkly with its small dichroic piece as the focal. Patterned sterling made on the base of the ring and simple spinner with the sparkles of the stars. This has to be seen to be appreciated. Size 7.